I was nominated and accepted to be a candidate for the 2019 Man of the Year Campaign. I have put an incredible team together to help me in this quest and I can't thank them enough. We will be campaigning now through beginning of June so please forgive us as we will be all over every media possible to help make this Campaign a success. 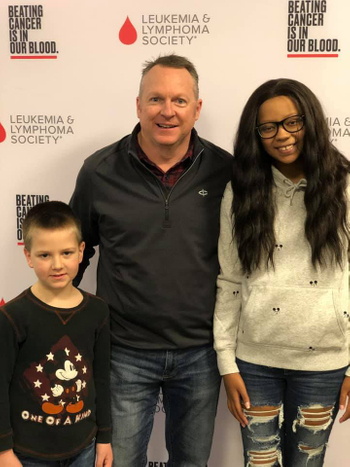 We are pushing to raise a lot of money and believe we can accomplish this with our corporate contacts and friends and family. Please join me in any fashion you can whether it be your place of employment that can donate corporately to my campaign or you personally donating or joining us at one of our exciting events. Every dollar we raise counts as one vote for my campaign. 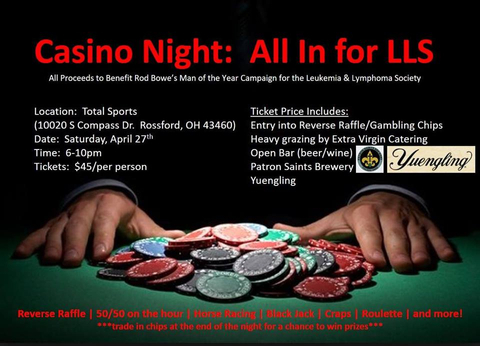 Gamble the night away to support Rod Bowe’s Man of the Year Campaign for the Leukemia & Lymphoma Society. 50/50 on the hour, Black Jack, Craps, Roulette, Horse Racing and more! Gamble to increase your chips to trade in for raffle tickets for a chance to win prizes. To purchase tickets through Venmo, search ‘Rodney Bowe’ using the Venmo app.